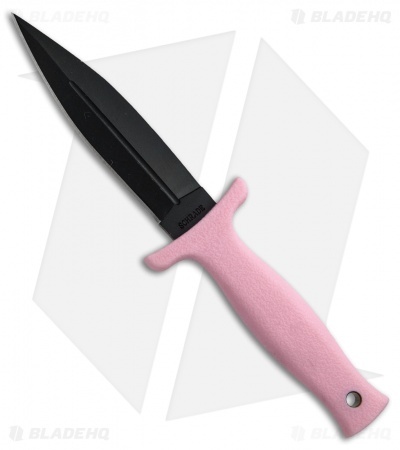 The SCHF19PF Boot Knife from Schrade is a compact fixed blade with a double-edged dagger. 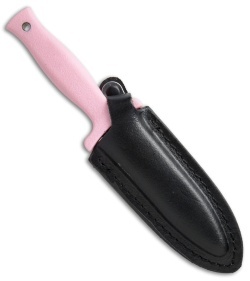 It features a black powder coated blade and textured pink TPE rubber handles with a double guard for safe use. The SCHF19PF includes a leather sheath with boot/belt clip.